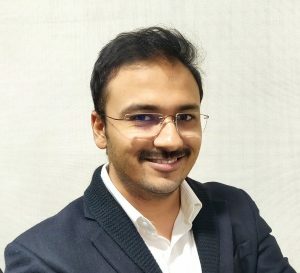 Mr. Ankit Gupta, CEO of WeblinkIndia.net. Nisha Harshwal:-What were the major challenges for your company? How do you fight those challenges? Mr. Ankit Gupta:-When a company has been in business for some time it needs to scale up and upgrade. Our decision not to use funding to do so was important and proved to be a challenge in itself. This is why we took our own time to reach where we are. During this time we had to remain patient and determined, as funding would have allowed us to grow faster but would have made it difficult for us to maintain the values that make us what we are. Another challenge we faced was remaining resolute in our commitment to clients. What I mean is we were selective in choosing clients, had we welcomed everyone on board, we would have grown faster. However, we know the value of our product and understand how it adds value to organizations. This is why we worked with select clients who would quickly realise the value of our product. We could have grown faster still had we outsourced, yet we remain committed to delivering the highest quality. This is why we haven’t outsourced anything, even when doing so was feasible we didn’t do so because it would have diminished our product offering. Another challenge we faced was remaining abreast with the newest technologies. The technology domain is very fluid and demands those who’re part of it remain abreast with or even ahead of existing technologies. While this posed a challenge, we’ve succeeded in surmounting it using research and by interacting with industry leaders. Perhaps a final challenge we faced was finding a young team that was as energetic and enthusiastic as we are. We honed our recruitment process so that we could hire only the best educated and most creative individuals. Today, we have a team that gives us strength to stay rooted and wings to fly on. Nisha Harshwal:-How do you assure your customer’s excellent service support? Mr. Ankit Gupta:-Delivering good customer experience is essential to the success of every business. Businesses that don’t know this suffer, while those that do excel. We are in the technology and service domain, this means we have to have technical expertise and proficiency in understanding customers needs and how to fulfil them. To give our customers the best experience possible, we have a team that is committed to delivering the best. In order to give their best to customers, our team is specially trained to always remain open to feedback. While this may seem to be a straightforward process practicing openness to feedback and criticism is harder than it seems. To successfully do so, our team is trained to listen to our customers and understand their requirements. Of course, they also have a solid grasp of technology and trends because it is crucial to serving customers well. A second technique used by us to provide excellent customer service support is to keep our clients involved in their journey with us. Those who use our services know they’ll never have to go through it alone. We’re in a sense at their beck and call when it comes to servicing or improving our systems. If customers need a process changed or improved, we’re there; if they need a process overhauled, we’re there. Hence our customers are our partners. This attitude has allowed us to serve our partners exceptionally well. Nisha Harshwal:-What are your upcoming products for the Indian Market? Mr. Ankit Gupta:-We realize that more people are getting online using smartphones instead of desktops. This trend has been going on for some time now. Hence online traffic is moving from desktops to the mobile space which is causing AMP pages to become a rage. Our products are designed to take advantage of these trends for the benefit of our customers. We’re also attuned to serving the final consumer and do so well regardless of what product is being sold to the final consumer. This is made possible because we design and develop websites that enhance the experience of visitors, which of course means our clients business grows. Nisha Harshwal:-What are some of the top priorities for the company? Mr. Ankit Gupta:-We proudly proclaim that we’re our best competitor. In the past and today, we continue to keep ourselves on our toes. Our commitment to delivering the best technology solution to clients makes us want to do things better tomorrow than the way they were done yesterday. While these are high standards, we’ve tasked ourselves with meeting them. For our clients we create products such as websites and portals that integrate seamlessly with their requirements. These are challenging verticals and we’re proud to say we’ve excelled in them for over 20 years. Additionally, our expertise in designing apps has proven invaluable to clients. Of course, a few priorities ahead include expansion to even more international markets and to untapped markets. We also think it’s important to educate clients about digital marketing so they can learn how it can help them grow their business. This is a crucial area for us and we want to make efforts to play a large role in it. Nisha Harshwal:-Demand for cheap products in this sector is increasing. How do you plan to tackle this issue? Mr. Ankit Gupta:-Our products are competitively priced yet we would never compromise on quality by selling a cheaper product. I agree there is a growing demand for cheaper products however many businesses meeting this demand are doing so by selling a poorer product and service. On the other hand, the product delivered by us is not only of superior quality, but it is also competitively priced. This means in a market flooded by cheap products and services, we stand out. Our service has been good consistently which is why our business has grown largely due to referrals. Unlike companies selling lower cost services that leave customers unhappy, we create a good customer experience and product. This means customers trust us much more than they do companies selling far cheaper products. As long as our customers trust us, we will keep adding value to our bucket. Nisha Harshwal:-Which is the best performing region for your brand? Mr. Ankit Gupta:-We’ve been successful in many markets, which is no surprise as we’ve been providing outstanding service for over 20 years. If I had to pinpoint a single market where we’ve found the most success, I’d say that it is the Middle East.